It is scientifically proven that moms love treats that they don't have to share with any one else. Also, most moms love cute packaging that doesn't cost a lot. 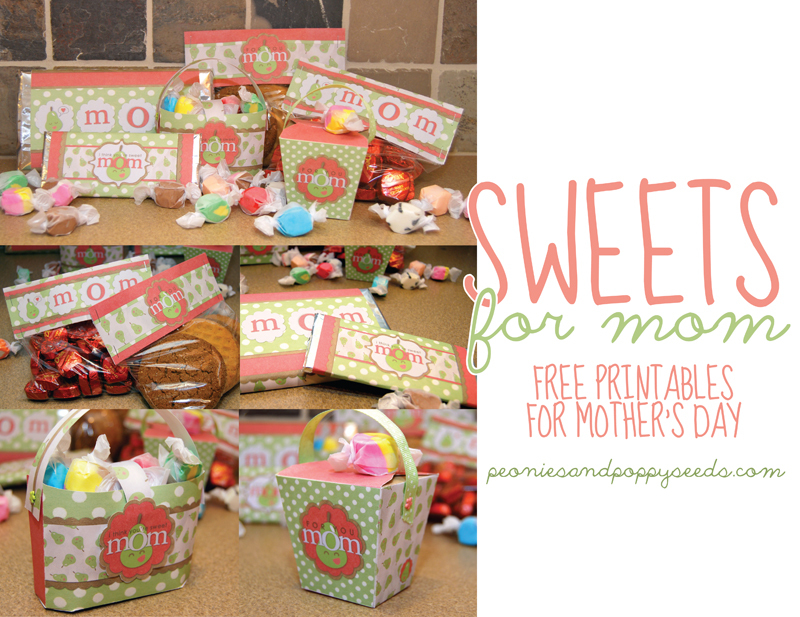 So for Mother's Day this year, check out our "Sweets for Mom" printable treat pack.